Summer Celebrations in the Raw! 1 – Day live class Nr. Southwold, Suffolk, England. 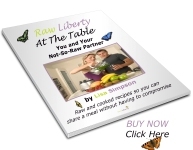 With Lisa Simpson, Raw Liberty – Raw Food Coach and Chef. Hosted by Jenny Yemaya Cook: HHI Health Educator, Raw Dolphins. The summer is upon us, and everyone has dusted off their barbecues, and cracked open the beer, ready to enjoy those relaxing summer evenings. But what happens when you follow a raw vegan lifestyle? Barbecues just don’t hold the same excitement do they? But hold on...it doesn’t have to be this way! This class is ideal for those people who want to live harmoniously raw in a cooked food home and still enjoy a Summer Garden Party whilst steering clear of the barbecue! Are you struggling to stay raw at summer events, when everyone around you is eating cooked food? Have you wondered if you need to sacrifice or limit your raw food journey when attending social events? Are you ready to learn how to make delicious raw recipes for you, so that you can still share those long summer evenings when your loved ones are barbecuing? There are a lucky few who go and stay raw with their partner, but in my experience these lucky people are in the minority. Staying harmoniously raw in a cooked food home can seem daunting at times, and can be a challenge especially when it comes to preparing different meals for yourself and your family and when having a summer social get-together. However, I have good news for you; this couldn’t be further from the truth! It is possible, there is no need to compromise; it just takes a little more time and organisation than if you were all eating the same food that’s all! v Mocktails: Lemon-Basil Iced tea, Strawberry Sizzler, Pina Colada. That’s an incredible 20 recipes that will be all yours – enabling you to enjoy summer gatherings without having to compromise your food preferences! · Access to The Raw Liberty Shop to browse or buy foods, products etc. The class fee is just £75 per person and covers all of the above representing, excellent value for money. Lisa has done all the thinking for you, and will show you how you can recreate these fabulous recipes in your own home! Please note that bookings are not refundable once made, but can be transferred to a third party on request. You will be sent the full address and directions upon booking. Simply email Lisa at lisa@rawliberty.co.uk or telephone 07939 848371 during office hours. “Thank you Lisa for a brilliant, informative, tasty day 'at the Table'. You showed me that making delicious raw food is easy and fun! Really well run, value for money and a great day out.” Marianne in Reading. Over the past few months, I have been really working on self love, and one area I have determined to bring into my life is the all important me time! As a busy working mum, I often feel like I'm constantly spinning plates: work, home, kids, football, gym, cleaning, more work, ironing... you get the picture, it's so easy to get caught up in everything and lose your sense of self. I'm sure many, many people can relate to this. This year, I decided that each month, I would try to take time out of this chaos just for me. Sounds selfish? Yes that's what I thought too, but now I realise that this is actually necessary for me to cope with everything that life throws at me, and will benefit my family and work life in the long run. To that end, I headed down to Suffolk to stay with Jenny at the UKs first Raw Vegan B&B (hopefully this will be the first of many!) in my 'only just fixed, soon to break down again' car! Jenny and I took Ralph-her most adorable dog (and believe me, from a non-doglover, that is some compliment!) for a walk in her magical wood, which is now carpeted with the most beautiful bluebells I have ever seen. Last month I sat in the 'manifestation tree' and gave gratitude for what I have in my life and opened myself to receiving new opportunities both in my personal and working life. Since that day, the magic has truly been happening, with opportunities literally knocking at my door, well in my inbox to be precise! More about this to come another time, when these opportunities become more concrete. Last weekend I went back to the same tree, reflecting on all the opportunities that had presented themselves to me, and asked for a sign that this was the right path. Shortly afterwards I found a white feather, and have been finding them ever since. To me the white feather represents a sign from the angels, that they're watching and that I'm making the right decisions. There is so much synchronicity happening at the moment, it's not coincicence, it's co-incidence!!! I can really feel the magic happening! Watch this space! I really value the opportunity to reconnect with who I truly am, time to meditate, connect with my spirituality and just be. This is the perfect place for me to do all of this, and I really feel rejuvenated; ready to face the world again, knowing that I can do so, staying true to myself whatever life may throw at me. Another major factor in enabling me to stay true to myself is the opportunity to connect with like minded people and share a meal with people who aren't going to question my every mouthful or think I'm a freak!!! Jenny's monthly potlucks provide the perfect opportunity to do this. I'd recommend everyone who's feeling raw isolation to check out local potluck groups, and if you can't find one...start one! layers of chocolate, chocolate cream and raspberry, mmmmmmmm! I'll definitely make this one again! Jenny's Chocolate dipped strawberries...I can't believe she made them without licking her fingers! These were by far my favourite treat! Kelly's burgers, perfect with her tomato sauce and crispy onions! Jenny's lasagne...I still find it hard to think that people actually make my recipes lol!!! Lemon Cream Pie. Yes, even though I'm a savoury girl at heart, I made two puddings! Feeling very pleased with myself lol! My lunch...now who says eating raw is no fun?!!! We all know the importance of support when we take that step away from the 'norm' that society imposes on us, and choosing the raw path, is certainly one hellova step away from the norm! Particularly for me, being the only person choosing this way of living and eating in my family, it would have been hard if not virtually impossible for me to stick to my raw journey without support from other people who share my values. Over the past few years, I have made some truly amazing people, with whom I have connected on so many levels. This has really helped me stay true to my self and inspired me to keep going when things get rough. Now my closest friends are spread all round the country! If you've been following my blog, you'll know how far I'm prepared to travel to maintain this support network...there was the mad trip to the Glasgow Meetup...three hours drive to Glasgow and two more to find the venue!! !, thanks to an inverted Google map and dyslexic receptionist for not helping me in any way whatsoever! Fortunately the lovely Gail had thought to save me some food otherwise I'd have travelled all that way for nothing, and would have just had to munch on 20 raw samosas that were in the back of my car!!! I'm grateful to Emma and Gail and their partners for stopping behind to chat after the meetup otherwise it would have been a bit of a wasted trip! After this event, I was finally convinced that a sat nav was vital if I'm to stay raw and sane!!!! So, sat nav fully installed and the world is my oyster (not sure what the raw equivalent of this phrase is, but rest assured, no oyster is going to cross my lips!) So my next potluck destination was...Suffolk! Four and a half hours away!!!! This is getting ridiculous! ...Sadly for my poor car, a weekend in Suffolk with Jenny is just not to be missed, beautiful company, location and food, ( check back to my blog on 22/04/10) and since she holds potlucks every month, I guess that's where I'll be headed! So, three hours north, or four and a half south...there must be something closer to home!!! And there is!!! This is when I discovered the Raw Food House Party! It's a goup of wonderful people in and around Manchester (yes only 30 mins away!) who meet every month for a potluck and a chat! And that's where I found myself last night! Great company, and fabulous raw food, what more could anyone want in an evening!!!! My plateful, just had to try everything! So, my raw diary is getting full, as is my tummy lol! Oh, and I forgot to mention that we were split into groups according to our favourite Celebrations chocolate!!! Um...where does that leave me!!! It's amazing how different it feels to be actually sharing a meal, rather than just sitting at the same table as someone whos is eating something totally different! And preparing food that is enjoyed by others is a real bonus! So, if you're struggling to stay raw, keep up your support networks, they're invaluable, and you'll be surprised hoew many groups there are springing up around the country, so you don't have to go to quite the lengths that I do!!! I am the prosperous, confident executive of my world. I can be as successful as I choose to be. Joy opens many doors for me. What can you do this month to allow yourself to be confident in your world?